Interview with Arnie in LFC Weekly - LFChistory - Stats galore for Liverpool FC! 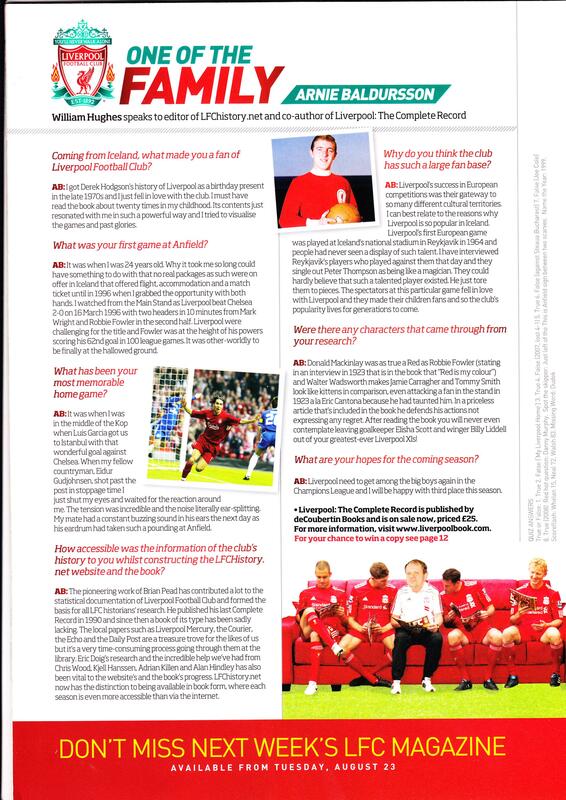 An interview with our editor, Arnie Baldursson, recently published in Liverpool FC's weekly magazine in August 2011. Click on image to enlarge.